Please Note: This item will ship In March 2019. Subject to change. Hendrick Motorsports driver William Byron returns for his sophomore season behind the wheel of the No. 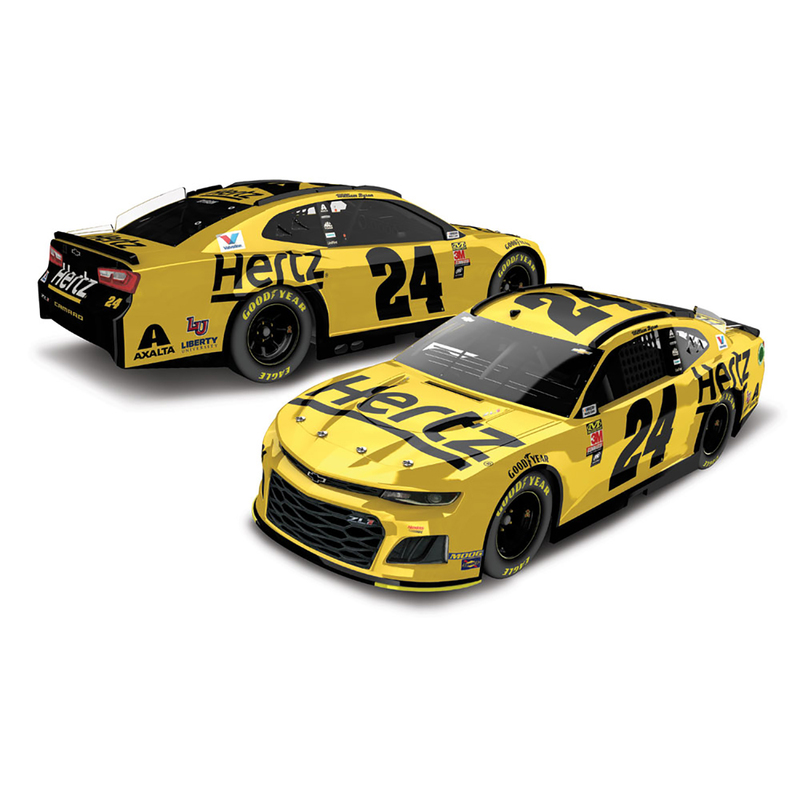 24 Chevrolet Camaro in 2019 and the Hertz Corporation also returns for its second season with the powerhouse team. One of the world’s largest vehicle rental companies, Hertz operates three leading rental car brands – Hertz, Dollar, and Thrifty. Byron’s 2019 Hertz livery reflects the Hertz brand’s iconic yellow-andblack logo, and is sure to be a standout on track. Now fans can order the official die-cast of Byron’s No. 24 Hertz Chevrolet Camaro ZL1 from Lionel Racing. Each 1:24-scale replica is available in two different trim levels – an Action Racing Collectables (ARC) model that features an opening hood and also a fully die-cast ELITE version that is built with an opening hood and trunk. The die-cast can also be ordered in a 1:64 scale. This die-cast will be produced in limited quantities, so don’t wait. Place your order today!